Updated on June 6, 2016 with new performance information. 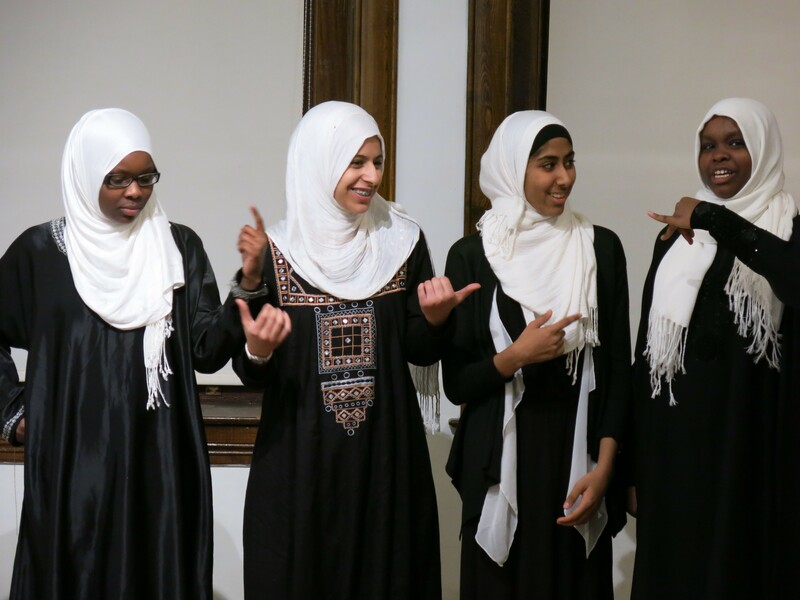 Since being featured in Seven Days in April, Balkisa Abdikadir, Lena Ginawi, Hawa Adam and Kiran Waqar, 15- and 16-year-olds slam poets who call themselves Muslim Girls Making Change, have performed at locations in Burlington including ArtsRiot, the Unitarian Universalist Church and the Vermont Comedy Club. They've also appeared on WFFF Fox 44 and Vermont Public Radio. Last Friday, the girls captured national attention when a clip of their showcase poem, "Wake Up, America," was played on National Public Radio's "On Point" (31-minute mark). The episode also discussed how Muslim Americans feel about the presidential election, refugees and radicalism. The quartet will compete July 12 to 16 in the Brave New Voices International Youth Poetry Slam Festival, a conference and competition for youth, in Washington, D.C. They are still fundraising for the trip. "Did you know that if every person who liked our Facebook page gave just $8, we'd CRUSH our fundraising goal?" wrote Kiran on the MGMC's Facebook page on June 2. The slam poets have two more performances in Burlington: during Parent University's graduation ceremony on Wednesday, June 15, at the Flynn Center for the Performing Arts; and Saturday, June 25, 6:30 p.m., at the Burlington Town Center, before heading to the nation's capital.